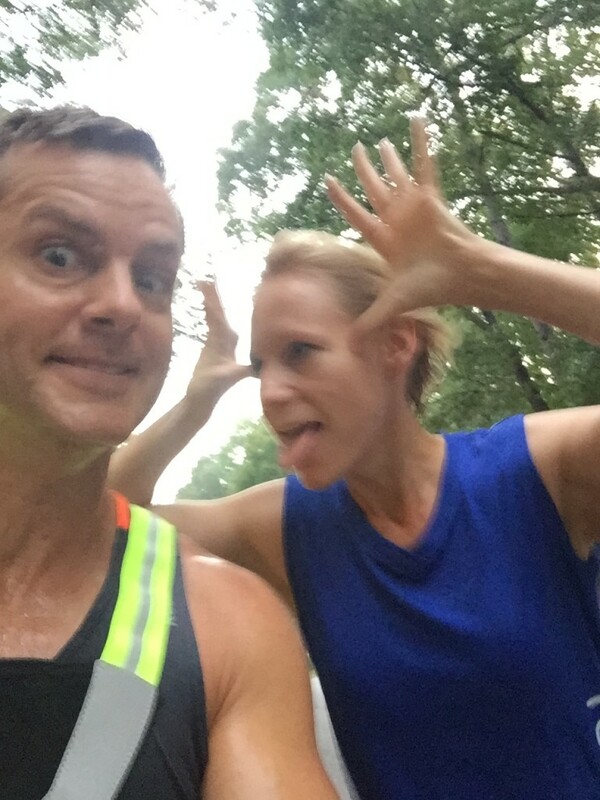 “To run together or alone?” – that is the question facing most running couples. We do both. 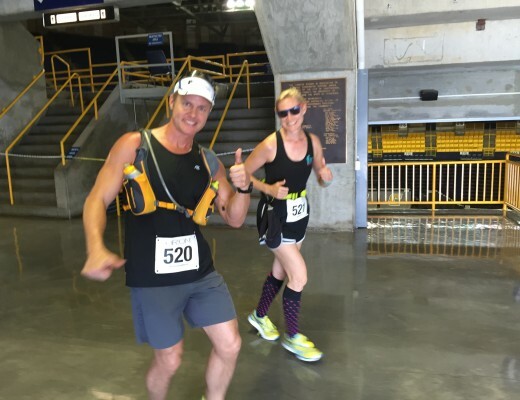 Here are some practical tips on when to run as a couple and when not to run as a couple. 1. 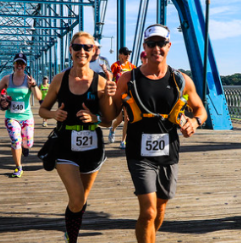 Run as a couple if you’re both training to do a race together. 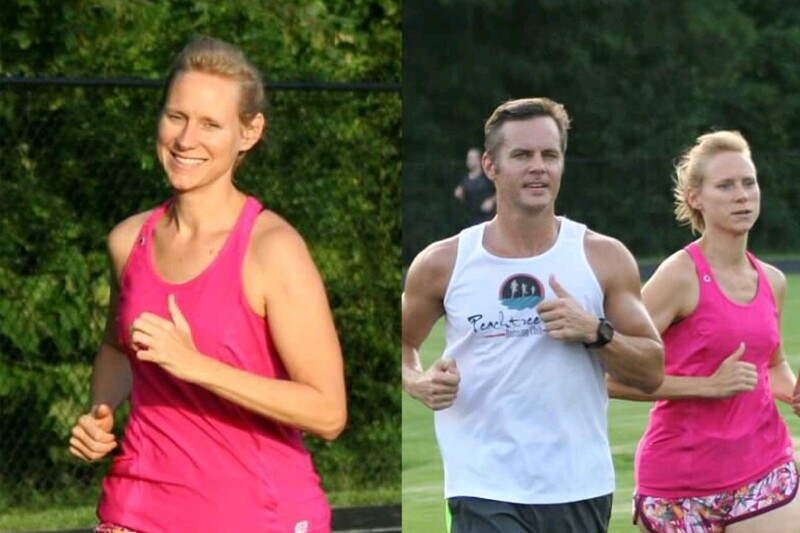 Mary Catherine and I trained together and raced together in the 2015 Tupelo Marathon. We spent the entire summer doing long runs together and had a blast. Even though the race was fun, the training was even more fun. We got a chance to share quality time and burn calories together. Training together also allows you to work out the kinks (not those kind of kinks) in your training program – pacing, hydration, gear, etc. Enjoy the journey and the destination. 2. Don’t run as a couple if you’re each training to race separately. In order to properly tax your body, you need to push your limits with hard workouts. Unless you’re the rare couple in which both partners run the same pace, each partner probably needs to run at a different intensity – distance, pace, terrain. If you want to get fast, you have to run fast and that means you’ll need quality training time alone. If this is the case, run together on the faster partner’s recovery day. 3. Run as a couple if you want to spend some time together to talk casually. Like most modern couples, we lead a very busy life together. 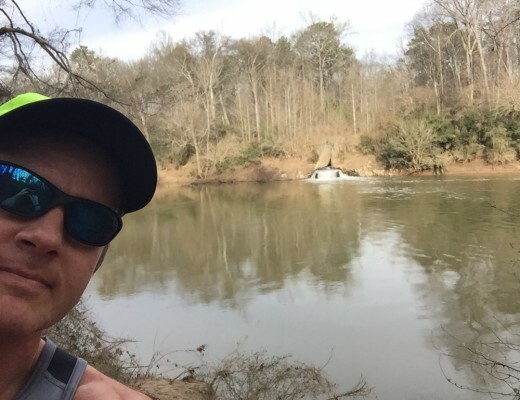 Sometimes the only alone time we get is a run – it’s a chance to get away from email, Facebook, phone, and unplug. Because most training runs are done at a talking pace, running together is an ideal time to talk and enjoy each other’s company. 4. Don’t run as a couple if you’re fighting about something. Yeah, this has never really worked for us and probably won’t for you either. It’s best to solve the issue before running or just run alone and consider the issue by yourself so you’ll be in a position to make peace once you’re done running. For some reason the act of running seems to accentuate problems, so our advise is don’t do it. Run together once the tension has dissipated. You’ve been warned! 5. Run as a couple if you are helping your partner train or meet a goal. This past summer I ran with Mary Catherine on the track to help pace her to a 5K PR (see picture). You can use your partner’s strength as your own to help push, pull, inspire you to new levels of performance. The key is to not push too hard, but agree ahead of time (like other things you migt do as a couple, wink, wink) on the limits to the intensity. 6. Don’t run as a couple if one partner is holding the other back. If you’re the faster partner and you want to run faster, you will need to run alone and do some hard workouts by yourself. Don’t sacrifice that training time and resent it later because your partner held you back – actually they didn’t, you held yourself back. 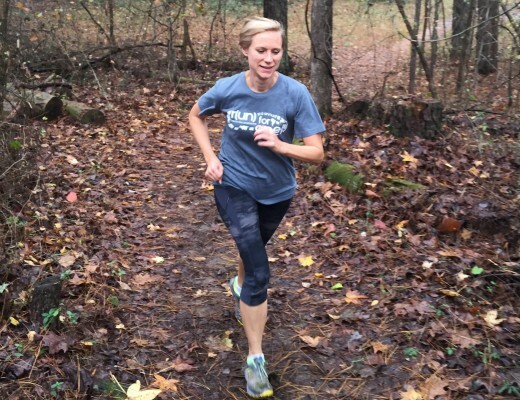 You can do your hard workouts alone, then run with your slower partner during recovery runs. 7. Run as a couple if you want to run together. It sounds obvious, but it’s true. 8. Don’t run as a couple if you need some alone time or don’t want to. Having alone time makes you a more interesting partner. Unlike the movies where lovers spend all their waking time together, all couples need some alone time. Don’t feel guilty if you need some alone time and don’t resent it if your partner wants some too.